From healthcare to daycare, Facebook’s $4,000 baby gift to Zillow shipping breast milk, perks at work and employee benefits continue to increase. Yet, real estate is overlooked as one of the key contributors to employee stress, distraction and productivity, and is a missing link to the employee benefit package and perks at work. It’s time to think about addressing stress caused by homeownership and the productivity gains of settled employees who are satisfied and content with their home and living environment. It’s time to think about how homeownership can be integrated into perks at work. Whether the majority of your workforce is comprised of live-to-work GenY‘ers, work-to-live boomers or a combination of all generations, our obsession with real estate is a real, everyday distraction that can significantly compromise corporate productivity. Maslow identified it best, representing ‘real estate’ as shelter, under Safety, the second most basic, important need. Maslow concluded that if shelter needs are not satisfied, people feel anxious and are stuck, unable to move beyond this need toward the next step in personal development. Yet, real estate today looks a lot different than ‘shelter’ of 1954. The 50’s saw an explosion in residential construction to meet the big demand for starter homes. Baby boomers were born in this era and would become one of the most influential generations of the developed world. David Foot, in Boom, Bust and Echo, predicted shifts in market trends from just this single generation alone, that are still highly relevant today. As boomers grew up to become the hardest working, two-income earning generation of all time, so did affluence, consumption and the demand for luxury. Boomers entering the workforce in the 70’s drove real estate demand for downtown apartments and condos, just as Millennials are driving it today as they search in city centers for convenient, bike-to-work accommodations. In the late 1970’s, boomers progressed to the suburbs in search of space and neighborhoods to accommodate family, just as the GenY s are bidding on single detached suburban homes today. As the single largest personal investment, employee preoccupation with the real estate industry to sustain financial wellness is both distracting and highly stressful. Real estate is no longer just about shelter. Rather, real estate has transcended to how we define ourselves and how much we invest in a lifestyle, that’s funded by debt made up of 1st and 2nd mortgages, credit lines, loans and credit cards. GenY’s face significant compromises and are extending themselves far beyond affordability to gain a foothold into real estate and homeownership. High debt is the new normal and mortgage lenders are sounding alarm bells when household debt climbs over 30% of gross income. Further, for boomers, downsizing has become part of a financial retirement plan strategy and a real estate correction could thwart an employee’s retirement dreams. Yet, despite this distraction and effect on productivity, real estate continues to stand outside of employee benefits and perks at work. At work, I evaluate the price of my home by searching the list and sold prices of my neighbor’s property. We found real estate brochures and business cards in a former employee’s office. We suspected he was moonlighting as a realtor behind closed doors for many years. The simplest way to recognize the enormity of real estate distractions on workforce productivity is to ask yourself: How often do you think about real estate and homeownership during your workday? If the answer is not very frequently, then you’re within a lucky minority. The majority are thinking about their next home as they are unsettled with their household debt and current living environment. This dissatisfaction with their home environment creates stress that is exacerbated by a preoccupation with the real estate market and a determination to uproot to a new home. Rulisting.com is a no-cost innovative people-to-people technology platform that goes beyond the traditional, old-school realtor approach of buying from what’s listed on the open market. It enables employees, who may be looking in a specific neighborhood, to connect with others who may be moving out. Buyers post where and what they’re looking for on Rulisting.com and homeowners can view their profile and send a private message. The connectivity and the subsequent conversations, between employees the key benefit to RuListing, as private real estate saves on agents fees. Rulisting.com also supports employee relocation efforts as employees have the ability to plan accommodations and talk to homeowners before arriving in-country. The traditional approach requires employees to travel in-country for several days with an agent. This old model is stressful, as employees are required to make a hasty purchase decision from among what’s listed for sale. Further, the stress of living unsettled and unsatisfied often leads to employees to move again once in-country. Every home, in any location worldwide, is possible as employees can connect with homeowners before it’s on the open market. 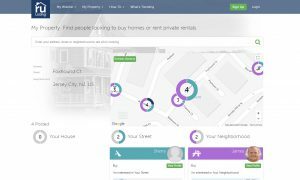 Rulisting.com is a free C2C application and its introduction is as simple as building awareness of the service that it provides to support and bring success to the home search and relocation process. Further, as a free service and as employee’s have success sourcing housing internally, RuListing can reduce corporate relocation expenses as realtor fees may be a thing of the past. As the real estate and homeownership market has evolved over the last five decades, so to must HR start to think about introducing real estate support within their benefits perks at work matrix. By-owner real estate is growing momentum globally, check out our most popular post on how to buy a home privately.